AXE Boat Parties are what party animals live for. In the middle of the sea, under the open sky, kindred spirits come together to celebrate a culture of freedom. Free flowing beverages, groovy music and hot, desirable women will engulf you at the party of your lifetime. 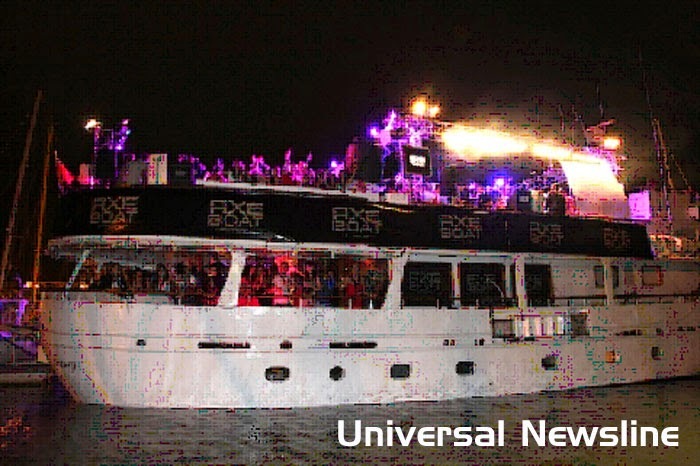 The AXE boat party boasts of a legacy of its own, inviting the young at heart to party like there’s no tomorrow. While boat parties have always been a heady cocktail of fun and fervour, the AXE Boat Party will enthral your senses to an altogether different level. The AXE Boat Party makes its India debut this May, in Goa. Having covered the French Riviera for 11 years, the AXE Boat Party is all set to scorch Indian waters on24th May, 2014, in Goa. The most desirable party of the year will host winners of the AXE Boat Party contest, sought after personalities from India’s swish set and a host of international models looking to party like there’s no tomorrow. Not to mention some interesting attractions AXE has planned for its guests, that will surely leave them wanting for more.